Obtaining the right service at good value can therefore be challenging as consumers can face wide variations in the cost of similar services. They can also struggle to find enough information to help them identify their legal need in the first place. In addition, as part of the study, the CMA considered the impact of legal services regulation on competition. The CMA found that whilst the current system is not a major barrier, it may not be sustainable in the long term. In particular, the framework is not sufficiently flexible to apply proportionate risk-based regulation which reflects differences across legal services which could harm competition. The CMA is therefore also recommending that the Ministry of Justice reviews the current framework to make it more flexible and targeted at protecting consumers in areas where it is most needed. You might not need a lawyer very often but when you do it will often be at a crucial point in your life – whether that’s buying a property, resolving a dispute or getting expert advice on financial and employment matters. So the transparency, affordability and accessibility shortcomings we have identified are a real concern. Consumers who are equipped with the information they need to assess the services on offer and choose the best deal for them, will not just benefit personally but will also help drive competition, quality and innovation across the whole market. That means a better outcome for everyone and, importantly, fewer people will be discouraged from seeking the help they need. 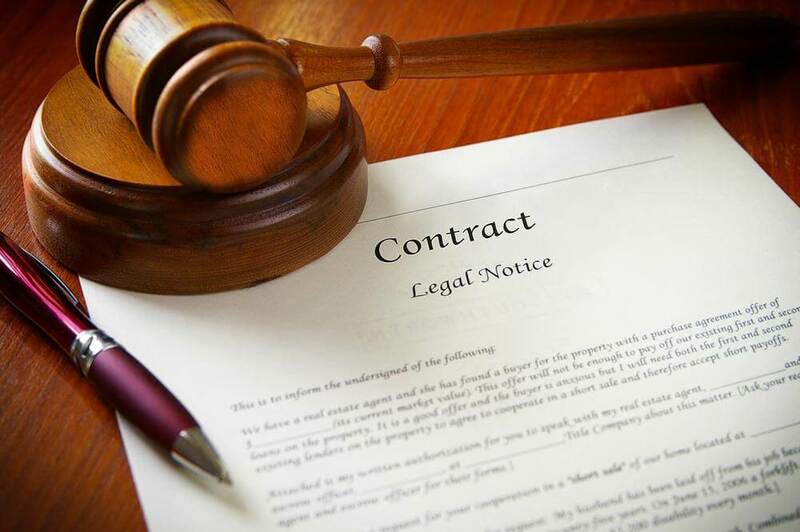 Around £11–£12 billion a year is spent by consumers on legal services in England and Wales in the area covered by the study – including commercial law, employment law, family law, conveyancing, wills and probate. The CMA has recommended that frontline regulators work with consumer and small business groups – including the Legal Services Consumer Panel, Citizens Advice, Which?, and the Federation of Small Businesses – to deliver this improved transparency on price and quality as well as clearer guidance on buying legal services. The CMA has pledged to re-evaluate progress and the impact of the recommendations in 3 years’ time and intervene further if progress is not satisfactory. Further information relating to the study is available on the case page and the CMA has also published a 60-second summary on the findings. Our goal is to help our clients assert their rights and empower them during the whole legal process. Throughout this process, we build up a professional and close relationship with our clients, which we view as our partners. As well as litigating on individual cases, we provide general company and compliance advice to both Taiwanese and foreign corporate clients. 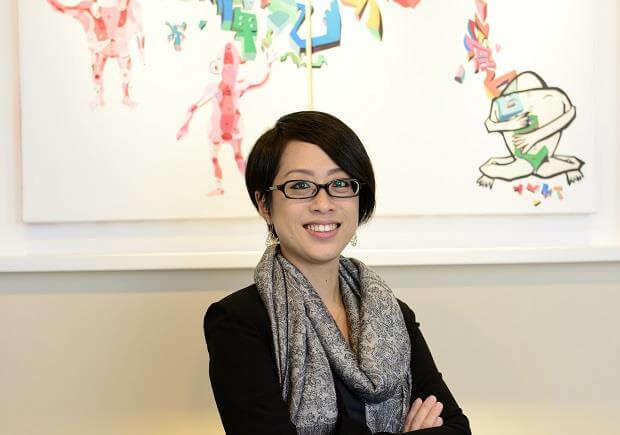 As an internationally focussed firm, we provide legal services in Chinese, English, Japanese and French. As a boutique law firm, we believe that our stature enables us to provide a more personalised service for our clients. 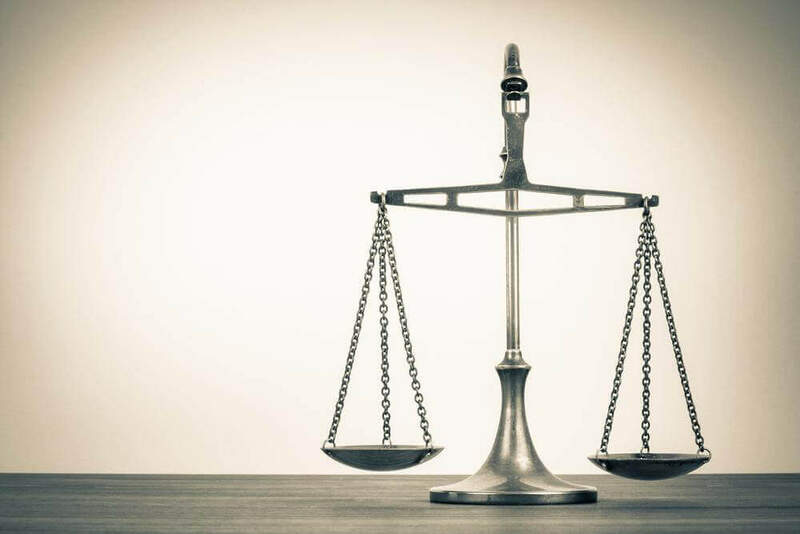 Ethics are the core of everything we do, and our associates and staff are fully aware of the value of their role as counsel and companion to our clients we assist by providing legal service. The main concern of our firm is human rights, especially gender equality. This is the reason why our partners are all activists in human rights movement in Taiwan, such as the movement for women’s rights, the movement for migrants’ rights and the abolition of the death penalty. We take great pride in the fact that we are a female owned law firm, and believe all three of our partners bring their own unique set of skills to the firm. We all practice three distinct styles, have three different personalities, but at the same time share the same passion for gender equality and human rights issues. Over the years, we have developed a network with other law firms, with ties in Taiwan, Hong Kong and China. Furthermore, we are hoping to work with other law firms in other country in Asia Pacific area and other continents in the field of International family law in the near future. 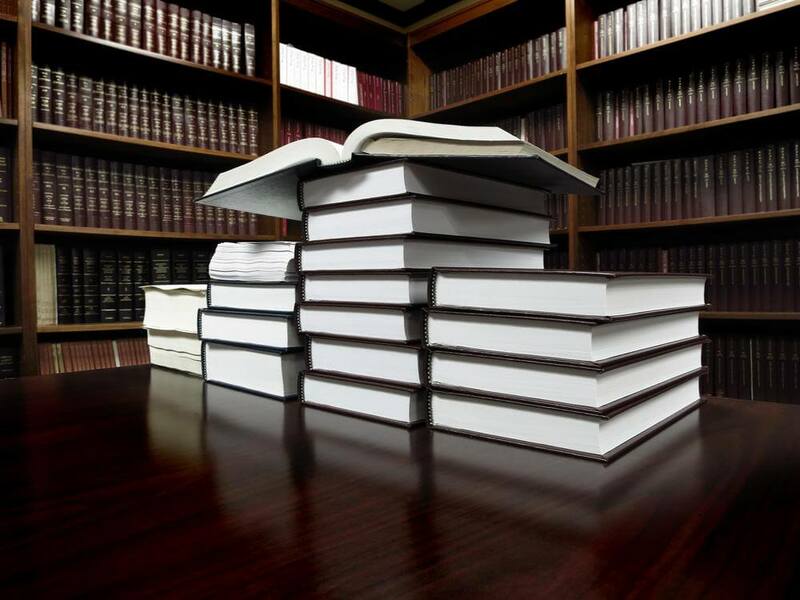 At our firm, we cover the broad areas of patents, trademarks, licensing, and litigation. Within these fields, we provide ancillary specialist expertise, such as advanced IP searches, evaluations of technology, and portfolio management. All of these services combined allow us to meet our clients’ demands with respect to protecting their IP both domestically and abroad. As such, our IP protection capabilities cover over 50 patent jurisdictions and 160 for trademarks. Since the inception of our firm 34 years ago, we have grown to become one of the leading IP firms in Korea. We take pride in this achievement and continue to reflect the high standards demanded by our clients into our work. By establishing innovative partnerships internally and externally, we are able to provide efficient and effective IP services, and more importantly, we continue to push our boundaries so that we can adjust our expertise and services with the changing times. We believe that there are a number reasons behind our position as leaders in our industry. 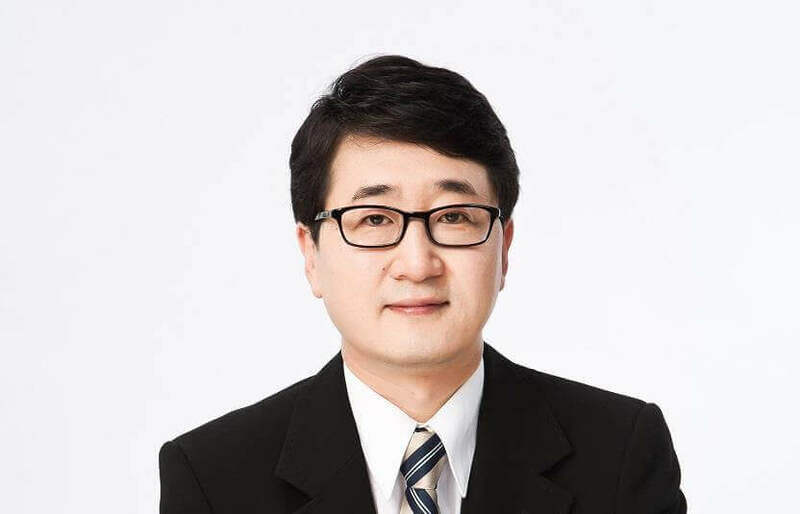 Our main strengths currently lie in patent and trademark prosecution work, and we are repeatedly recognised as one of the leading firms for prosecution in Korea by reputable IP publishing companies. In total, we file and prosecute more than 4,000 patent and 2,000 trademark applications annually before the Korean Intellectual Property Office for both domestic and international clients. Moreover, we also manage more than 3,000 corresponding patent and 1,000 trademark applications entrusted to overseas associates. Furthermore, we have one of the largest groupings of IP professionals in the country, all of whom provide services in IP filing, prosecution, litigation, due diligence, licensing, IP search and valuation, alternate dispute resolution, etc. Not only are they highly educated, but they also have diverse backgrounds, both in terms of technical expertise and international experience. As we believe our professionals are our greatest assets, we try to encourage their development by providing them with new educational experiences (i.e., sending attorneys to the US and China) and organising IP seminars for them on a regular basis. As such, we are confident that when approached by new clients or working with existing ones, our professionals can always provide them with friendly up-to-date legal information and the most cost-effective strategies to protect their IP. Due to this nurturing environment, our retention rates are consistently high. In terms of our clients, our domestic and international clients range from corporations, research and development institutions, academics, and individuals. As the vast majority of our professionals are multilingual, we are able to communicate with our clients in Korean, English, Japanese, and Chinese, which makes it easier for our clients to reach out to us. We have found that we have been able to expand our clientele through referrals, legal service bids, government contracts, advertisements, etc. As for my personal background, I am an attorney-at-law with a background in telecommunications and electrical engineering. I represent clients by providing them with legal advice on infringement and enforcement matters, as well as undertaking legal work regarding licensing and litigation. Due to the growing IP needs of our clients, YOU ME’s legal services have increased over the past few years, and to meet this increasing demand, we have a range of attorneys-at-law with technical backgrounds from the US and Korea who work closely alongside our IP attorneys. This unique aspect of our services reassures our clients and means we can provide them with a vast spectrum of one-stop services. Looking back on 2015, YOU ME Patent & Law Firm had a tremendous year. During this time, our firm grew steadily from 7 to 10%, and for 2016, we plan to further diversify our services to cater for the international and domestic markets. In addition, we plan to increase our involvement and representation with respect to the Chinese market and Chinese companies. We are one of South India’s largest law firms, with a principal office in Bangalore and branch offices in Chennai, Hyderabad and New Delhi. Moreover, we have exclusive affiliate relationships with law firms and lawyers in areas such as Mumbai, Pune, Ahmedabad, Surat, Chandigarh, Allahabad, Kolkatta, Bhubaneswar, Coimbatore and Kochi. In terms of the services we provide, our main areas of practice are in banking, project finance, corporate restructuring and bankruptcy, to name a few. Our firm has grown alongside Bangalore, and the city was not a big city 35 years ago. It has now become the educational capital of India, with the biggest number of engineering, medical and law schools in the country. During the pre-liberalisation era, the availability of technocrats and its salubrious climate saw the establishment of major public sector undertakings. For example, the Indian Space Research Organisation has its headquarters in Bangalore and our firm has been very closely associated with it since the early eighties. This created a strong technology law practice and helped the firm to be a major player in the intellectual property and technology law areas. During the mid-eighties, the firm helped in setting up India’s first Venture Capital Fund – TDICI. It was also associated with several venture capital funds and banking and non-banking finance companies. In this environment, hand holding start-ups during the nineties was a niche area in the information technology industry. Furthermore, as the city grew and expanded, the firm advised on several major real estate transactions. Post-liberalisation, the firm has been advising several PE and VC funds, and the firm is very well known in its litigation practice, especially in the fields of corporate litigation and banking. Flashing forward to today, the legal industry in India is flooded. Thousands of lawyers pass out of law schools each year and many of them start their own firms or individual practices, sadly without much experience and at low cost. This is where the more established professionals stand out, and the lesser experienced learn some pretty harsh lessons. At Thiru & Thiru, we have a unique blend of rich experience and energetic youth. Looking beyond India, the overall industrial growth in Asia-Pacific is stunted and this has made an impact on the legal industry too. While litigation is on the rise, transactions have fallen sharply. Moreover, non-litigation practice in our opinion may not be as encouraging as it was in the past. When looking at particular sectors, infrastructure is a very promising area which India is pressing to grow in, and non-conventional energy has gained momentum. Generally speaking, any industry that grows in direct proportion with the population is a sure winner here. Healthcare, agriculture, essential consumer durables, food, two wheelers and education are areas that will see a good growth. In terms of our culture, honesty and sincerity to the client are our mantras. It is our duty to keep the client well informed; disclose the positives as well as the negative issues while counselling and ensure that clients are not forced to take a decision, instead guide the client to logical analysis of the issues involved. The advice should be sound and well-reasoned, and we give utmost importance to confidentiality and ethical values. At our firm, every client is important to us and every work done by an associate is always reviewed in detail by a partner. Partners are easily accessible, and clients’ calls and queries are promptly answered within 14 working hours. We have a policy not to say “no” to our clients, and try our best to find an answer or at least provide alternatives. When it comes to hiring new staff, we hire lawyers who are knowledgeable, willing to learn, and having an appropriate team spirit attitude. We have been lucky with the staff we have taken on, and we provide a great opportunity to learn from the combined experience of our partners which is about 266 years who imbibe the values to our young associates. Moreover, the firm is a knowledge centre, and we strongly encourage learning. In this environment, the seniors mentor the juniors, and we believe that any up to date knowledge helps the client ultimately. Additionally, the firm takes pride in having promoted India’s first finishing school for lawyers “The Marquis Diamond Finishing School”. This helps the members of the firm to keep themselves abreast with the changes in the industrial, technological, socio- economic arenas. With all of these attributes in mind, we are confident that our company will continue to grow in the future. Furthermore, Indian industries are gradually becoming multinational, and our clients have been constantly requesting us to open offices abroad. Very soon we will be opening our office in Dubai, and will bring many more exciting opportunities to our company. The Firm’s tagline is: passionate, committed and reliable. It is passionate about assisting the legal needs of its clients and committed to deliver the best outcome for them. It is reliable because it values the trust of its clients and put their needs and interest as first priority. Rosetini & Partners is committed to providing quality legal service with a high degree of attention to its clients. It is the firm’s objective to understand the clients’ needs and assist them in an efficient and effective manner to achieve their goals and conclude their transactions. Concerning general corporate matters, the Firm offers legal assistance in relation to the presence and operations of companies doing business in Indonesia by providing advice on the relevant regulations with respect to the business activities of those companies. The Firm also has experience in providing legal services in the areas of banking and finance. In the area of banking, it can assist in drafting loan agreements, security documents and other banking transaction documents, either representing the lender or the borrower. The Firm also provides advice on banking law and regulations. 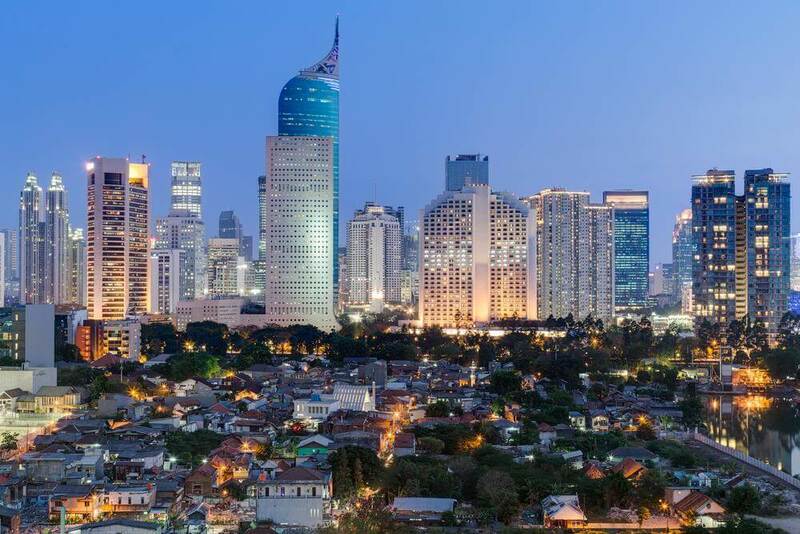 The Firm assists its clients in realizing their goals to develop their business in Indonesia starting from helping the clients to prepare the best possible scheme of transactions for their investment in Indonesia considering the legal environment. In acquisition transactions it has represented the acquirers, as well as the sellers. It assists its clients with their corporate approval and government approval requirements in the merger process. The Firm also assists in the structuring of transactions for its clients, so that they will have the most beneficial structure and still comply with prevailing laws. It also performs the due diligence, prepare the transaction documents and provide assistance in procuring the local regulatory approvals. The Firm has represented both borrowers and lenders in certain loan restructurings. 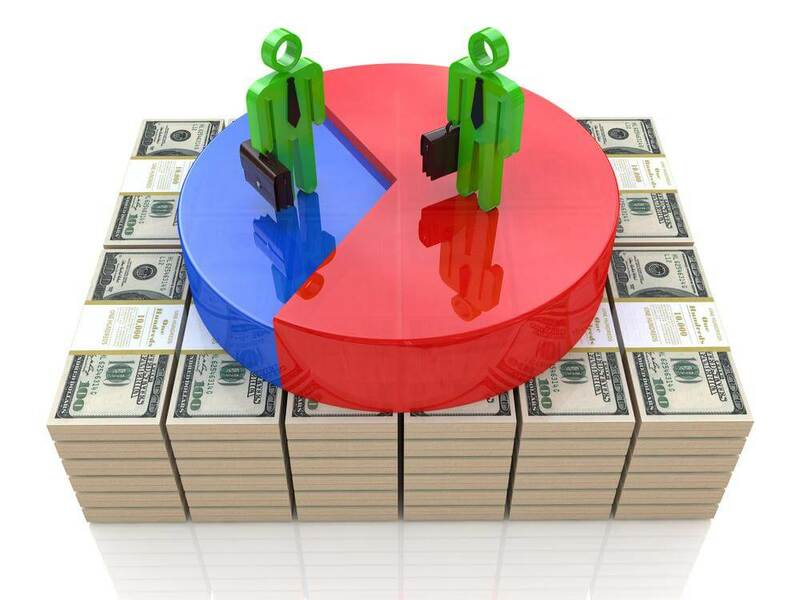 It provides advice and prepares necessary documents related to the restructuring transaction. The Firm’s clients are mostly foreign companies that are doing business in Indonesia. Many of its clients are companies or subsidiaries of companies from Japan. It also has clients from other countries, among others USA, Germany and Singapore. Indonesia’s economy has been going through different phases because of the economic and political situation. Many laws and regulations have been changed following the dynamics in the economic development and political situation both domestically or by the influence of other countries and global trends. The Firm believes that with its passion, experience, commitment, dedication and professionalism it will be able to continue providing legal assistance as required by its clients and contributing to the success of their business in Indonesia. 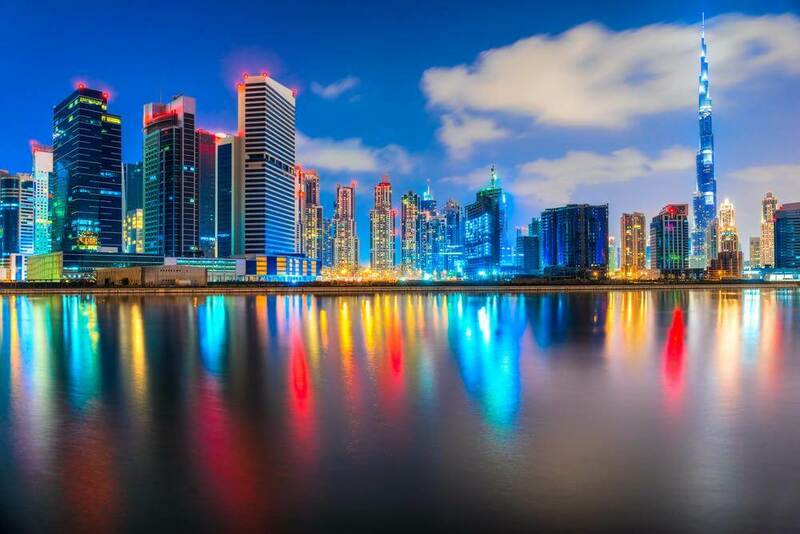 Although the New Law maintains the cornerstones of the Old Law, it introduces some fundamental provisions that must be observed carefully by existing companies and investors in the UAE. All commercial companies operating in the UAE are required to adjust their positions in compliance with the provisions of the New Law within a maximum period of one year from the Effective Date. 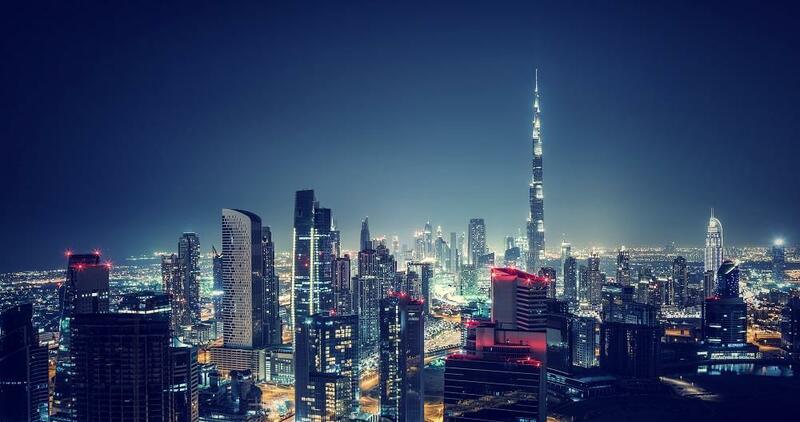 The New Law eliminated two of the seven forms of commercial companies that may be registered in the UAE, namely Joint Venture Companies and Share Commandite Companies. Any company that does not adopt one of the remaining five forms will be null and void and the parties contracting in the name of such companies will be personally and jointly liable for any and all of the liabilities deriving from such contracting. – The statutory quorum required for general meetings has been increased from 50% to 75%. 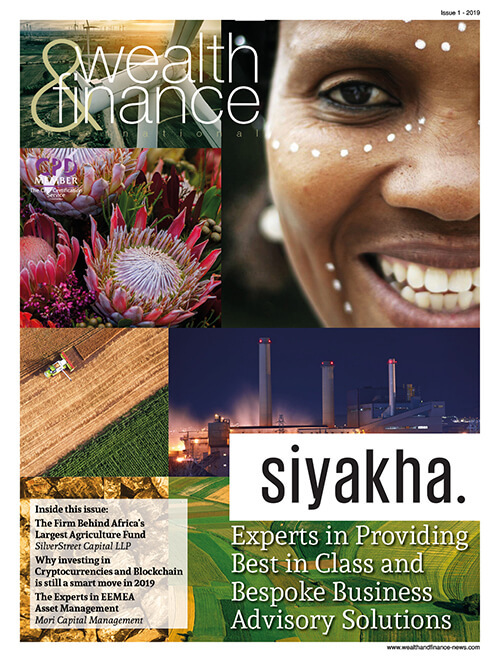 – A JSC company may increase its share capital by the entry of a strategic shareholder in consideration of the technical, operational or marketing support that such shareholder may extend to the company; and- The appointment of JSCs’ auditors have been capped at only 3 consecutive years. The New Law introduces several new penalties which all companies and their management operating in the UAE should consider and observe. These include a daily penalty of AED 2,000 on any company that fails to amend its Memorandum of Association and Articles of Association in compliance with the provisions of the New Law within one year from the Effective Date. There are almost two months left before the expiry of the period granted for existing companies to comply with the provisions of the New Law and any company that fails to achieve that, may be considered as dissolved. Transactions levels at the top end of the market remained constant under the new regime and stamp duty receipts from homes costing more than £1 million went up by 15% across the year. In December 2014 the government reformed the residential stamp duty system, changing it from a ‘slab’ to a ‘slice’ structure and reducing stamp duty for 98% of people who pay it. “In 2014 I cut stamp duty and already three-quarters of a million home-buyers across the country have benefitted. The overwhelming number of home-buyers – 98% – are saving money thanks to our reform, which has done away with the unfair old system that meant increases being imposed on those paying just a pound over the threshold. “These figures show that the benefits are being felt across the country. It’s a fair, workable, lasting reform to the taxation of housing. “I am determined that this government will continue to take bold action to support a home-owning democracy. Under the old slab system, homebuyers would have paid stamp duty at a single rate on the entire property price. With the new system, home buyers only pay the rate of tax on the part of the property price within each tax band. The news coincides with new analysis from the International Monetary Fund (IMF) finding that the reform has “reduced distortions and is a step in the right direction. 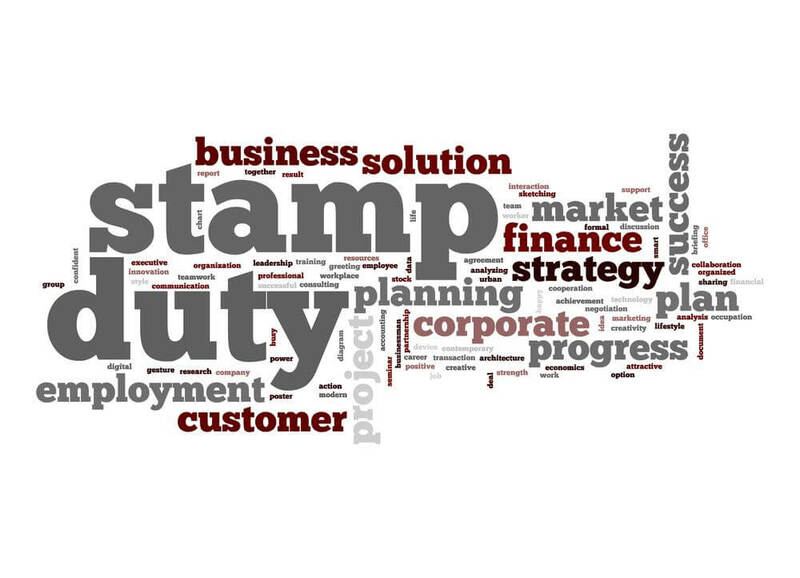 The IMF commented on the impact of the Stamp Duty reforms as part of its annual Article IV consultation with the UK. Our services range from businesses entering into the country and establishing legal status, to setting up a business, advising on corporate transactions, or concluding employment arrangements, right through to advising clients of need in their personal affairs. Our associates are legal professionals with qualifications obtained from various international jurisdictions. As a result, their training and experience enables them to provide a high standard of advice and legal expertise in every case. What differentiates us is that, apart from being knowledgeable in the law, and experienced in advising on transactions, we recognise that what ultimately matters to our clients is the outcome. As such, we make it our business to set and manage realistic expectations. In our region, there is a wide range of options is available to individuals and to international companies who are looking to establish a business presence. This ranges from companies incorporated under the Commercial Companies Law to companies incorporated within the Free Zones. The incorporation team at James Berry & Associates provides professional and personalised assistance to clients. We assist our clients in setting up and maintaining in good standing companies incorporated in Dubai, Sharjah and/or Abu Dhabi. Furthermore, we assist our clients with registrations such as limited liability companies, branches and representative offices of non-UAE companies, professional licenses, professional associations, non-profit organisations and/or business forums as well as free zone companies. Alongside these services, we also work with offshore companies incorporated within UAE Free Zones and/or within other offshore locations. We are registered offshore agents and are therefore fully authorised to assist you in the setting up of offshore companies in the Jebel Ali Free Zone. 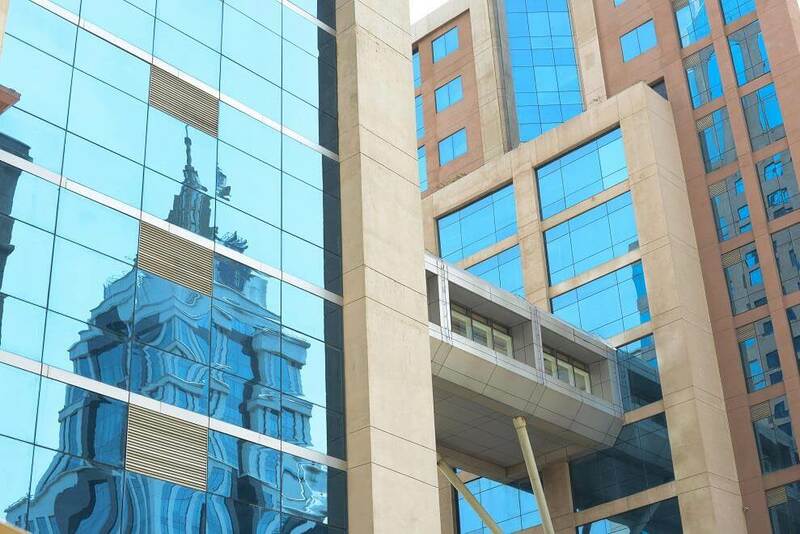 We also incorporate offshore companies in other popular offshore locations outside the UAE. One of the key components to arbitration in corporate cases is understanding the facts of business life. This is emphasised by famous English maritime arbitrator, Cedric Barclay, who used to say: “To be a really good maritime arbitrator, one must have gone through a £3mn loss in a shipping downturn, withstood the loss, and made £5mn in the following upturn.” It was a caricature, and if the test were to be applied not many of the international arbitrators most busy today would remain in business. But, as with all caricatures, it contained a core of truth: breadth of actual business experience is paramount to understanding the facts of a case. Allow me to recount a memory which I believe proves that having business experience by proxy only may not be enough. Experiences such as this have shaped my careers as an arbitrator. I am also fortunate to have had direct business experience with two major multinational corporations, Nestlé of Switzerland and Cargill of the United States. These experiences have enabled me to become an efficient arbitrator, and I draw on my vast experience in every case I undertake. 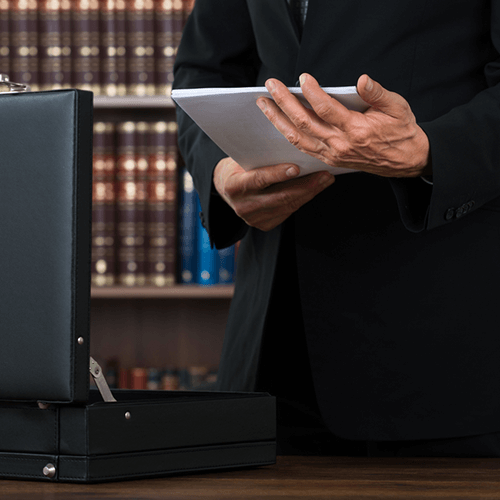 Monitoring the integrity of the arbitral process is another a key factor in arbitration, which can involve protecting witnesses. An example of this can be found in an arbitral tribunal I chaired last year in Paris which included two Middle Eastern firms and one German company. A Middle East witness was called by the German defendant, and although he had arrived in Paris for the hearing, refused to appear as he had received death threats for him and his family back home should he testify, delivered to his hotel in Paris. events and we used it. The integrity of the arbitral process was endangered there, and it was our duty to protect it, which I feel we achieved. “Since the firm was launched in 2013 it has more than doubled in size. When we opened our doors in 2013 we were regarded as an arbitration boutique, today, our clients are asking more and more for us to defend them in commercial litigation, in particular high-profile cases and international disputes” Jean-Georges Betto explains. “In the current economic environment we are extremely proud of these results that are more and rarer today. The success of our firm is partially down to the partner’s willingness to take risks, to step out and launch the firm, to dedicate all of their time and energy to this project. We also have a unique approach to invoicing which is much appreciated by our clients, instead of billing by the hour, which can often mean that proceedings costs can skyrocket over time, we sit down with our client at the beginning of the case, evaluate the work required to handle the case and agree on a flat fee for the whole proceeding. With an optimistic outlook set for the future, “over this past year we welcomed a new partner, Julien Fouret, a leading specialist in international investment arbitration and public international law, widening our scope of legal expertise and once again offering our clients a more comprehensive service” Betto explains when asked what his company is doing to capitalise on this as well as sustain their success. 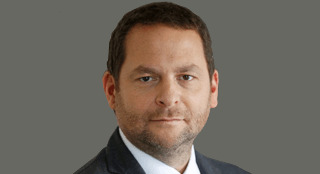 “We also welcomed a new Portuguese speaking associate Marie-Claire Da Silva Rosa in order to strengthen our lusophone team and our outreach in the Brazilian Market, in which we are already present as we have the advantage of having one of the rare Parisian practitioners (Thierry Tomasi) who can litigate in the Portuguese language. We have also made our stamp on the French speaking African market, representing French blue chip companies in disputes opposing them with African States which has recently had a lot of media attention, and also the Republic of Gabon in a dispute against the Chinese-owned petrol giant Addax Petroleum (Sinopec Group)” he adds. Of course, when working in an industry that is constantly evolving measures do need to be taken to ensure that a firm is at the forefront of any emerging developments. Jean-Georges Betto lifts the lid on how this applied to the company betto seraglini, “as a ‘start-up’ firm we knew from the get-go that we were going to have to do everything to implant ourselves in the market as one of the go-to firms in matters of international arbitration and commercial litigation” he explains. “How were we going to do this? Since the launch of the firm we have always tried to ensure that the firm is always visible, this is to say high presence on social media platforms, a focus on communication and getting information about our firm out there and last but not least with the creation of an association entitled ‘cabinets de croissance’ which roughly means ‘firms on the grow’. This Think-tank aims to bring together several specialised boutique business law firms with the aim of sharing our knowledge and experience, in particular with future entrepreneurs, and lobbying the Paris Bar authorities in order to make sure that the needs and concerns of this new generation of firms is addressed at all levels” he adds. “Law firms today are more than ever, a people industry. This means that we invest heavily in the people we work with” Betto emphaises. Developing this pearl of wisdom, he adds: “We aim to keep our partner/ associate ratio low as we feel this is the best way to teach our associates as well as motivate them, we invest enormously in our associates, who we pay as would any large anglo-saxon firm even though we have a much smaller effective, as well as our support staff and we believe that internal promotion is the best way to construct a solid and dedicated team”. At the close of 2013, the partners, associates and employees of betto seraglini announced the creation of the betto seraglini for International Justice Fund. “This Fonds de dotation fights to allow access for societies most vulnerable, to international justice and protection of fundamental rights by educating and representing victims” Betto explains. “Thanks to the mobilisation of its team betto seraglini for International Justice develops not only its own projects and also supports existing organisations in order to work hand in hand with human rights NGOs and be part of a more global approach” he concludes. Emma warns the bill for recruiting employees from overseas could soon hit a record £2,675 – or more. Emma says: “If the UK removes the current exemptions for EEA nationals and ceases to be a signatory to the Treaties which enshrine the rights of free movement in the EU, companies would likely need to navigate Tier 2 of the Points Based System to recruit from the EU. This can quickly become a very expensive exercise. “Under Tier 2, an employer needs a sponsor’s licence which carries a one-off cost of £1,476. For each employee, they also need a Certificate of Sponsorship which carries a fee of £199. The employee needs to apply for their visa but often the employer meets this cost to which currently stands at £575 for entry clearance and £664 for leave to remain. “The Immigration Act 2016 imposes an Immigration Skills Charge which was due to be introduced in April 2017. I anticipate that this could now be brought forward. The proposal is for businesses that recruit from overseas to pay a charge of £1,000, or £364 for small business, for every employee when they apply for entry clearance or leave to remain. They would usually pay the charge twice in the lifetime of a person’s leave under Tier 2. Simpson Millar holds weekly drop-in clinics in Manchester and Leeds which saw three times as many people attend as normal in the week following Brexit. According to the Office for National Statistics, there are currently over 2 million non-UK nationals from EU countries working in Britain. The European Commission welcomes last night’s agreement between the European Parliament and the Council of the EU on a Regulation of financial benchmarks. The new rules were first proposed by the Commission in September 2013 in the wake of the alleged manipulation of various benchmarks which were to the clear detriment of consumers and companies throughout the EU. Following last night’s preliminary political agreement, the EU is setting a leading standard globally. 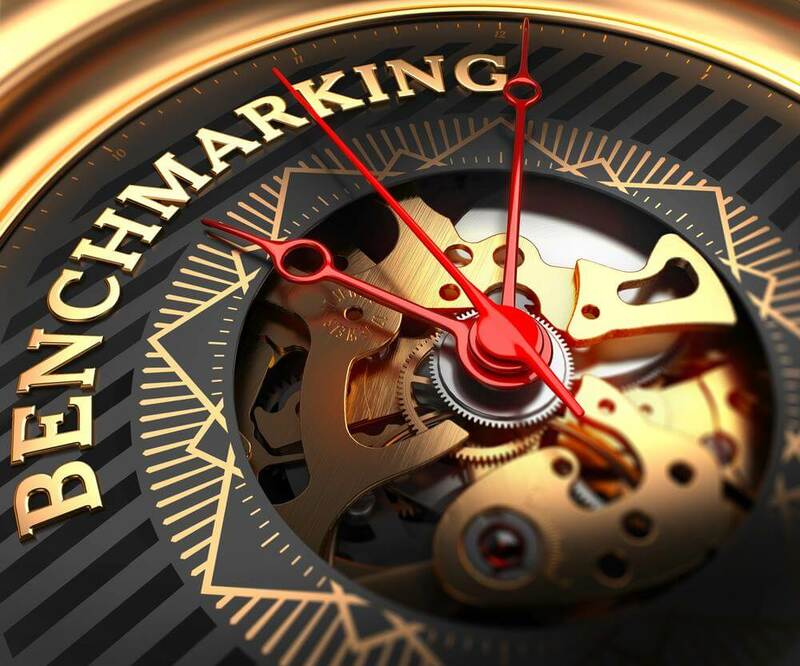 A benchmark is an index or indicator used to price financial instruments and financial contracts or to measure the performance of an investment fund. Yesterday’s agreement will improve the governance of such benchmarks produced and used in the EU in financial instruments such as bonds, shares, futures and swaps. The new rules are also directly relevant for consumers as benchmarks determine the level of mortgage payments of millions of households in the EU. Jonathan Hill, EU Commissioner responsible for Financial Stability, Financial Services and Capital Markets Union said “Benchmarks are critical for the functioning of our financial markets. Manipulating benchmarks amounts to stealing from investors and consumers and undermines confidence in markets. Today’s agreement will help to rebuild confidence in financial markets in the European Union”. The biggest shake up to landlord tax rules is the amendment to the interest only mortgage payment on a buy to let property and how this is offset against your tax bill. There shouldn’t be any change to how basic rate tax payers and mortgage free properties are taxed, the change is only applicable to high rate tax payers. Beware, if you are a basic rate tax payer and your rental income pushes you into the higher rate tax bracket, these changes will also affect you! Currently higher rate tax payers pay 40% tax on the rental income over and above the interest only mortgage payment. E.g. £1,000 per month rent with a £400 per month interest only mortgage payment means that you will pay 40% tax on the £600 per month difference. You are given full tax relief on the £400 per month interest only payment so do not have to pay any tax on this and just pay tax on the profit. Makes sense. With the new changes high rate tax payers will no longer be able to claim full tax relief on the interest only payment and will only be able to claim tax relief up to the basic rate of 20%. Therefore if we use the same scenario: £1,000 per month rent and a £400 per month interest only mortgage payment this now means you will pay 40% tax on the £600 profit and 20% tax on the £400 per month mortgage payment. This is an increase in this example of £2,400 a year. In the current climate of low interest mortgage rates this is certainly a blow as it will mean higher rate tax payers paying more tax and making less profit on their portfolios. However, what should worry landlords are the consequences when interest rates start to rise. A rise in interest rates equals a rise in tax! Under the new rules, interest rates don’t need to rise that much to make buy to lets costly for landlords. As an example let’s say a landlord owns a property valued at £250,000 with an outstanding mortgage of £187,500 (75%). They charge £1,000 per month in rent and have a current interest only mortgage payment of £400 per month. Under the new system they will receive £600 per month income and pay tax of £320 per month. So they will make a net profit after tax of £280pm. If the interest rate on the mortgage rises to just 4.80% they will be paying £750 per month in mortgage interest payments and making a profit of £250 per month. Under the new tax scheme they will also be paying tax of £250 per month. Therefore the net profit from the property will be zero. If interest rates rose to 6.40% this landlord would be charging £1,000 per month rent, paying £1,000 interest and still be charged £200 per month tax from HMRC. If a landlord reaches the point where they are making no profit from the rent, are spending time managing it and possibly even making a loss on it, the it is understandable that a landlord will consider two things; Firstly, they may look to increase the rent. This is a likely scenario and it seems grossly unfair that the new tax changes could ultimately have a detrimental effect on the tenants themselves. Secondly, the landlord will look to sell the property. Again, this will involve notice being given to tenants and will create a very unstable environment for many tenants who thought they had a long term let agreed as the properties which have long term tenants are more likely to be sold first as these tenants generally have fewer rent reviews and therefore these properties will become unsustainable for the landlords first. What’s likely to happen as a result of the new tax? The expected effect of this tax then will be that more property will come on to the market but only from those landlords that are hitting a higher rate of tax due to personal income (as well as a bit from rental income) these are the landlords that were only really in the BTL game for capital growth (“It’s my pension”) and who have perhaps found themselves enjoying the extra few hundred pounds a month income, it is probably they that will be selling their buy to let houses and flats as the profit margins become less attractive. We have already spoken to several property landlords who will be instructing agents to sale their property. Those landlords (sometimes referred to as accidental landlords) selling up will bring more property on to the market for first time buyers and home movers and could see property price inflation easing in certain areas of the UK. This scenario would be a good result for First Time Buyers who are currently up against other FTB’s as well as property investors. It is worth remembering that landlord mortgages are not subject to the same regulation as residential owner occupier mortgages. BTL landlords can have a Buy to let mortgage up to 85% on an interest only basis making the monthly payments much less than a regulated mortgage which at 85% must be on a capital and interest basis. For the landlord with only a couple of properties and not earning above the higher rate tax bracket or the property developer that is offsetting costs through refurbishment expenses that doesn’t pay higher rate tax or indeed the wealthy landlord with no mortgages anyway then it will be business as usual. The other tax changes to how much you can offset for wear and tear will have some affect but is not a game changer. 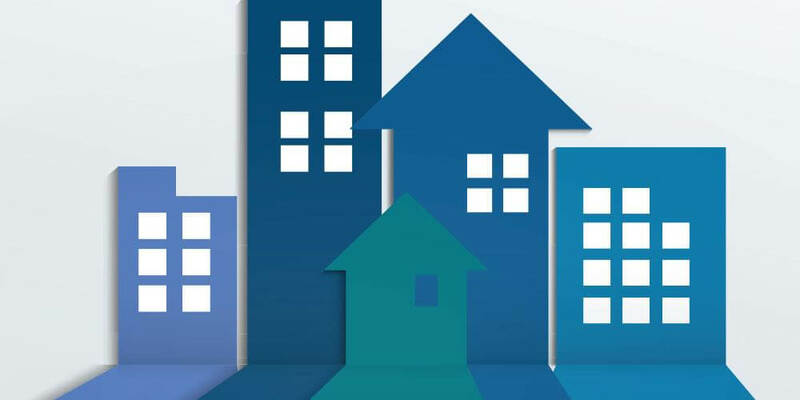 So it would seem that the real likely result will be that where one type of landlord sell’s up, a different type of landlord will come along with a desire to buy up that same property. Watch out Brussels is coming! Whilst on the subject of the different types of landlords now is a good time to mention the European led Mortgage Credit Directive which comes into effect in March 2016. The new regulation will regulate some buy to let’s. The legislation will differentiate between 2 types of BTL. They may be referred to as either an ‘Investment Property Loan’ or a ‘Consumer Buy To Let loan’. The accidental landlord that has perhaps been unable to sale their house and who has instead re-mortgaged it to a buy to let will fall under the consumer BTL category and will be subject to new guidance overseen by the FCA. This guidance could see lenders checking affordability for the buy to let using personal income or only lending where there is sufficient savings in place to cover 3 months’ rent in the event of a rental void. Those clients with existing buy to lets or those buying a property specifically to let it out will fall under the Investment Property Loans and will be subject to less scrutiny! In summary the Buy to let market as we know it is changing and interference from Europe and its blanket policies is changing the face of Buy to let. “The announcement in the Queen’s Speech today introducing a new Enterprise Bill – giving additional support to SMEs to settle payment disputes – ought to be welcomed by businesses across the UK. To have this Bill included in the speech should give hope to many struggling businesses that the government is serious about the need to protect SMEs and bring an end to the issue of late payments. Ogier has launched a cross-jurisdictional Tax team in response to requirements from corporate clients, their advisers and trustees. Having advised financial institutions, multinational corporates, funds and asset managers on offshore and legal advice relevant to tax for many years, the firm has now drawn together a team of partners with specific tax expertise. Ogier is the only offshore law firm with a Luxembourg capability and Luxembourg partner Caroline Bormans is a recognised tax expert. This should give the ECB a chance to catch its breath after a bumpy start to the year. Its quantitative easing programme (QE), launched to address the currency union’s anaemic economic performance, is show¬ing results. Much has happened through the currency channel, with the euro depreciating sharply against major currencies since the policy was announced. Consumers are also starting to feel the benefits: confidence across the Eurozone is up and retail sales are growing at their fastest pace since 2005. This has caused some to think that the ECB may ter-minate QE earlier than the currently suggested timeframe of end 2016. The last two years suggest that trying to gauge the economic climate a year ahead can be tricky. Cebr remains on the cautious side. The Eurozone job is definitely not done yet, let alone well done. Germany is carrying on a decent path to recovery but the union’s second-largest economy, France, is still far from finding its way there. Much needed labour market reforms have been absent from the picture, and with the presidential election season approaching fast, appetite for pressing on with unpopular measures is bound to decline. Conditions seem brighter in the South, especially in Iberia. Looking ahead to the rest of the year, the Eurozone’s southern periphery will most certainly enjoy an uptick in the summer as tourist season kicks in. Receipts from tourism should be especially strong this season given the weakness of the euro and geopolitical tensions in regional competitors such as North Africa. But the fundamentals remain weak. Greece, while closer to a deal now after a new reforms package emerged from the new negotiating team in Athens earlier this week, is still at a very fragile state. Its banking sector is heavily dependent on the ECB’s willingness to continue providing funds through the Emergency Liquidity Assistance mechanism. 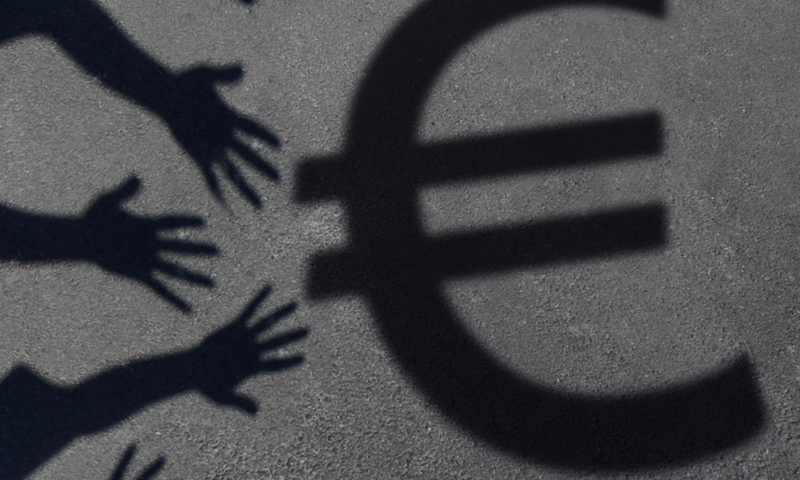 In 2015 thus far, around €30 billion of deposits have been withdrawn from Greece’s banks. And non-per¬forming loans are at 35%, much higher than 2012 levels of 25%. The banks remain systemically sound: capital adequacy ratios at above 12% are exceptionally high. But any “accident” in the negotiation process would quickly make banks lose deposits. It will then be up to the ECB to decide the country’s fate. 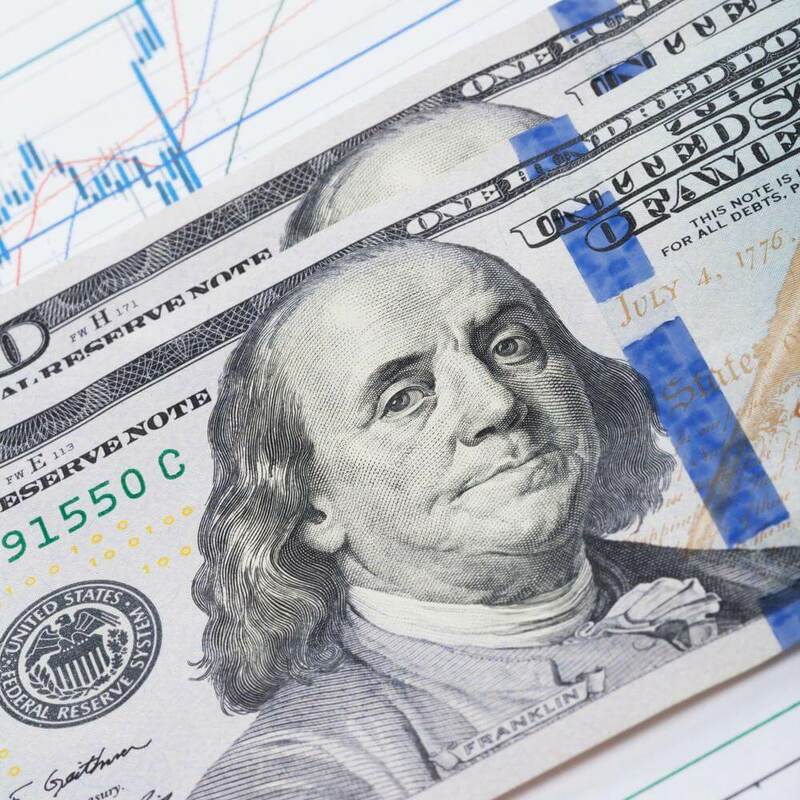 Less than half of small business owners (49 %) expect business growth within the next 12 months, according to the latest Small Business Health Index from CAN Capital, Inc., the market share leader in alternative small business finance. This is a decline from the 58% of small business owners who expected growth in the previous index conducted in September 2014. It seems that small businesses expect 2015 to be a year of stability rather than expansion, with 40% of owners saying they expect their businesses to remain about the same over the next 12 months, up from 34% in the fall. CAN Capital’s Small Business Health Index, powered by SurveyMonkey™ taps into key issues and trends that can help business owners across the country expand and grow their businesses including access to capital, marketing, government regulation, competition and talent recruitment and retention. Small business owners in the Southwest and the West are the most optimistic, with 62 percent of owners in the Southwest and 60 percent in the West saying the small business environment in their regions is either excellent or good. In contrast, only 48% of small business owners in the Northeast described the environment as excellent or good, making it the only region of the U.S. where fewer than half of respondents had a positive view. 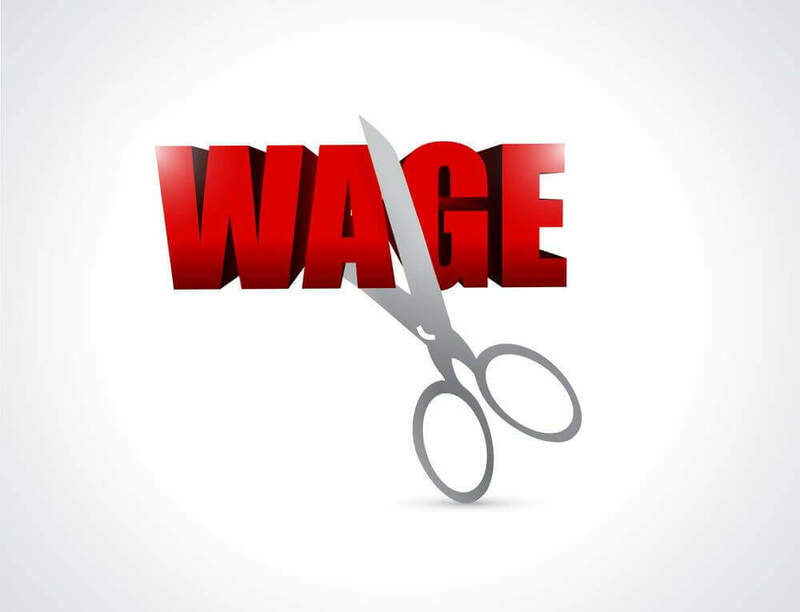 Rising employment costs from regulations including new minimum wage laws and the Affordable Care Act were cited by 44% of respondents as the biggest threat facing small businesses today. Competition was a close second, cited by 40%. Many small business owners also recognize the need to do a better job of reaching their customers online, with 60% saying their knowledge of digital/social media marketing was either fair or poor. Only 29% of small businesses said they have optimized their websites for mobile devices and 27% said they don’t have a website at all. Less than half (44 %) of small businesses currently accept payments online. 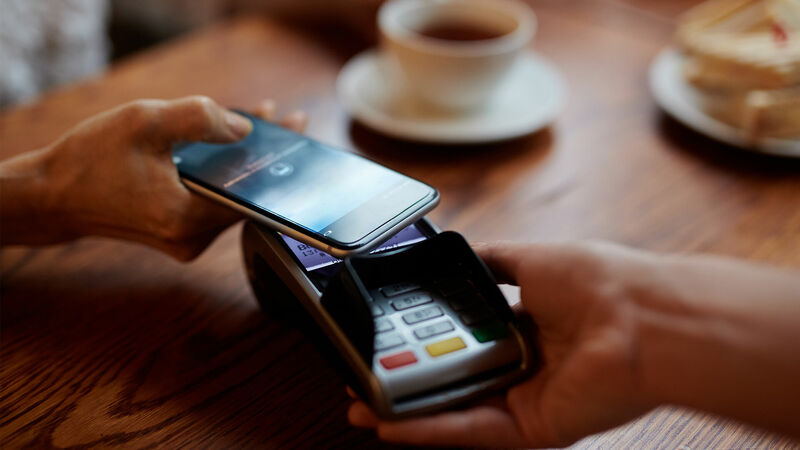 Only 13% accept mobile payments such as Apple Pay. While more than half (55%) are familiar with the transition to EMV (chip & PIN) credit cards, only 19% have taken steps to update their point-of-sale systems to be compatible with EMV. Just 18% say they plan to invest in new payments technology in the next 12 months. Only 30% of small business owners surveyed anticipate needing external capital to run their small businesses in the next year, down significantly from 43%last quarter. For those who do apply, capital appears to be easier to come by. 38% said it is quite or extremely challenging to gain access to working capital, compared with 61% who said the same thing in the previous survey. This survey marked the first time that bank loans through a traditional process were the number one way small businesses successfully secured funding/working capital, replacing loans from friends and family. Notably, 44% of small business owners said they have not faced any challenges obtaining access to working capital, a large increase from the 27% who said the same thing in the previous survey from September 2014. Findings from research carried out on behalf of pension investment specialists, AXA Wealth, which questioned 1,500 UK residents aged over 55, indicate that one in ten (10 per cent) of the UK’s over 55s who are due to retire in the next 18 months would consider drawing down on their pension pots to start a small business or go into consultancy. This ‘later-life entrepreneurs’ trend could see over half a million over 55 year olds shun retirement in favour of starting up their own business venture. The average value of a pension pot of those asked was found to be £550,000, and of those considering withdrawing money to invest in a new business, almost half (47 per cent) intend to use their 25 per cent tax-free lump sum to fund their start-up. The research also reveals how the pension reforms will vary in impact upon the UK’s different regional economies. The South West is expected to most likely experience a mini boom in teashops and restaurants with 22 separate new establishments being considered, while the Midlands could see a resurgence in manufacturing, with 25 new production facilities being considered in light of newly invested start-up capital. “Proposals to end austerity and increase departmental spending are wholly misguided given that the UK is still running a deficit of £90 billion a year and the government is spending nearly half of national income. Small steps to reduce the deficit have been made over this Parliament and today’s SNP manifesto would eradicate this progress. (UK) What Will it Take for Your Party to be in the Next Government? 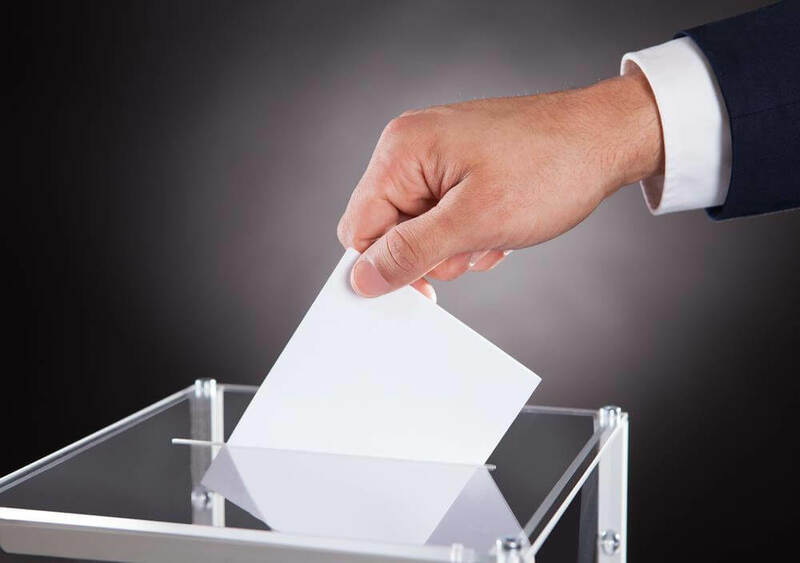 In what is being billed as the most unpredictable general election in UK history, Independent Strategist Olivier Desbarres has made working out what each party will need to gain power, easy. Olivier, who has a background in Emerging Markets and G10 Research, has created the UK General Election Predictor, which is available to utilise via his website. It allows the user to enter the number of seats he/she thinks the parties will win and then generate the most likely outcome(s). For first time voters especially, understanding how the election works and the many potential outcomes can be puzzling – but the Predictor cuts through the confusion and presents clear and concise conclusions. 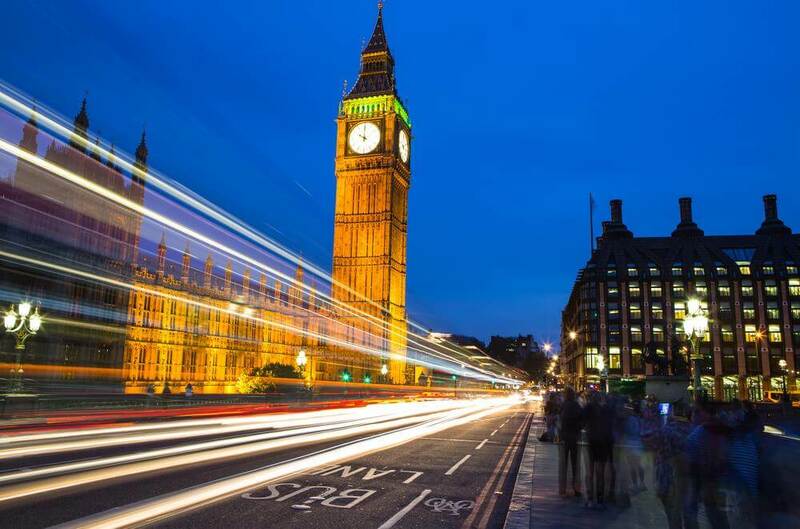 Creator Olivier Desbarres commented: “The UK General Election Predictor is a powerful yet simple to use tool to get a handle on who will likely be in government and set policy for the next five years. Olivier relied upon his own knowledge and expert opinion from a vast number of sources to detail the likelihood of parties winning that number of seats and what that combination of seats would entail in terms of likely government composition. These sources include opinion pollsters, analytical models, thinks tanks such as the IPPR, party statements and sources, politically affiliated societies and official sources including the UK Parliament. 84% of European business leaders believe their country’s membership of the EU has a positive impact on their business, 83% believe it has a positive impact on their country and 79% believe it has a positive impact on them personally. 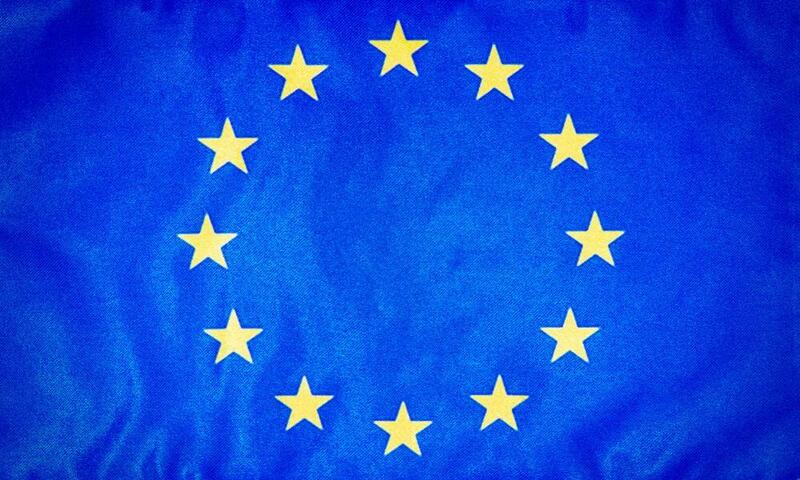 Furthermore, 67% believe they have a role to play in promoting the EU to their country’s wider population. The main reasons given in support of the EU were the economic advantages brought by membership, the competitive position a united Europe has against China, Russia and the US, and the importance of integration, stability and unity in the current climate. Costs and bureaucracy were the focus of the minority view. 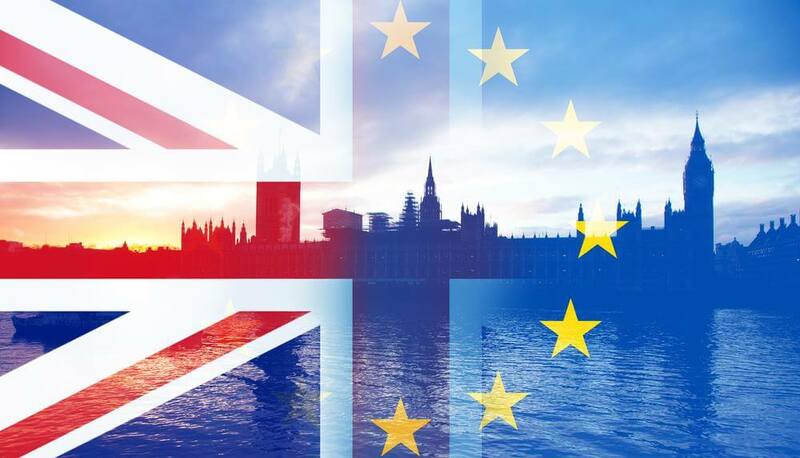 The survey conducted by The European Business Awards, Europe’s largest business competition now in its 9th year, and supported by RSM since its inception, also asked business leaders whether the UK should stay in the EU. The results show that 86% of European business leaders* think the UK should stay in the EU, with 11% saying the UK should leave. The survey also shows that the majority believe a UK exit would have a negative impact on all concerned. 84% of business leaders believe a UK exit would have a negative impact on the EU itself, 76% think it would have a negative impact on the UK economy, and 67% think it would have a negative impact on their own country’s economy. Of the respondees who think the UK should stay in the EU, 25% were from the UK. The survey also revealed some interesting statistics about the rise in popularity of smaller parties. In contrast to the 2010 election where 91% of people voted for one of the big three parties (Conservatives, Labour or the Liberal Democrats), this year’s election shows a different picture. Mirroring similar data from the Electoral Calculus, these findings indicate many voters are still undecided, but of those who have already decided, the number of people set to vote for the traditional 3 parties has fallen to 71%. Looking at those who will vote for the first time this May, the figure is even lower with only 66% predicted to vote for the traditional big three – with 13% saying they will vote UKIP, 11% Green and 9% SNP. Perhaps unsurprisingly given people’s dissatisfaction with the big three parties and their lack of political engagement in general, just 10% of people feel ‘very happy’ about the work of their local MP. There is a massive range in the importance of political issues with the economy (26%), cost of living (22.5%) and the NHS (15%) ranking top three and foreign affairs (1%), the environment (2%) and crime (2%) at the bottom. As the election approaches, online learning specialist Filtered.com has launched a free online course to help improve political knowledge ahead of 7th May 2015. The course covers all the crucial areas of politics such as the electoral process, the 2010 election, the parties and their leaders, and key political issues from the economy to education, immigration and unemployment. The engine behind the course uses the company’s adaptive algorithm which removes any content the learner doesn’t need. The result is an individually tailored syllabus which accelerates learning and saves time. “For the low paid to get a fair share of the recovery, this was a year in which we could have had a much bolder increase in the minimum wage. “With one in five workers getting less than a living wage, this is nowhere near enough to end in-work poverty. Britain’s minimum wage workers should be very fearful of the billions of pounds of cuts to government help for the low paid that the Chancellor is planning if re-elected. Seal Software announced a partnership with Elevate Services, Inc., a next generation legal service provider. Leveraging Seal’s Contract Discovery and Analytics solution as part of its legal service offerings enables Elevate to deliver a more robust and efficient contract review and management process, in turn delivering more streamlined results for its clients. 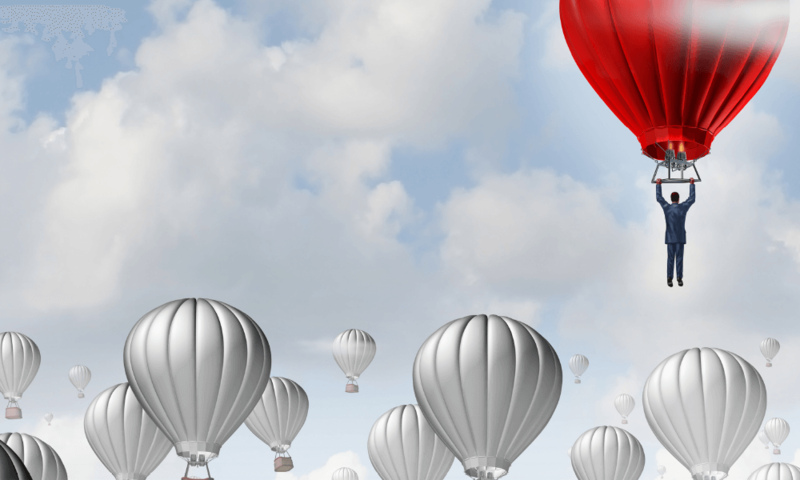 Elevate provides a wide range of services to its clients, including consulting, legal support services and technology. 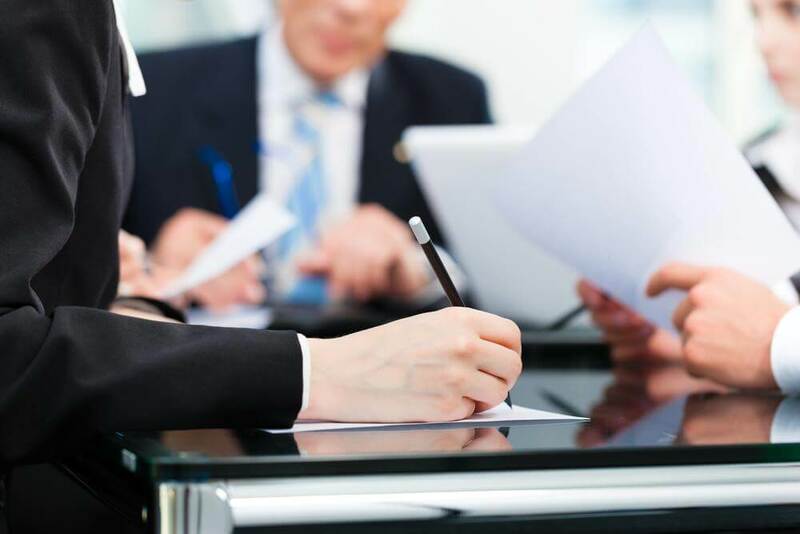 Within its extensive document review offering, the company uses a variety of review methods to serve its clients as efficiently as possible. To better manage the varying nature of contract review projects, Elevate partnered with Seal Software to automate the discovery, extraction, and analysis of relevant unstructured contracts, resulting in a quicker, comprehensive, and more accurate review process, and delivering results that could not be achieved using traditional manual methods. To learn more about Seal Software solutions visit the website, download the latest e-book, “The Business Case for Seal Software,” or read the IDC Technology Spotlight “Contract Discovery and Analytics: Driving Value from Within Your Contracts,” which examines the intricate issue of managing the hidden data within business contracts in a time of ever-changing government regulations and compliance, disparate systems, and an exploding number of contracts across all aspects of business. Elevate is a global legal service provider helping law firms and corporate legal departments operate more effectively. Elevate provides practical ways for clients to improve efficiency, quality and outcomes through consulting, managed services, talent and technology. For more information, visit elevateservices.com. Follow Elevate on Twitter @ElevateServices and on LinkedIn at www.linkedin.com/company/elevate-services. Seal Contract Discovery locates contractual documents within minutes wherever they reside within an organization and is rapidly deployable; extracting key contractual terms and clauses, rendering them for easy review, and populating corporate repositories, including Customer Relationship Management (CRM), Contract Lifecycle Management (CLM), and Enterprise Resource Planning (ERP). The Financial Conduct Authority has fined independent financial advisers Chase de Vere £560,000 for failures surrounding sale of Keydata Products. Between August 2005 and June 2009 Chase de Vere’s advisers sold Keydata life settlement products to 2,806 customers who invested a total of £49.3 million. The Financial Services Compensation Scheme has paid compensation to eligible customers up to the scheme limit, which was £48,000 per customer at the time. 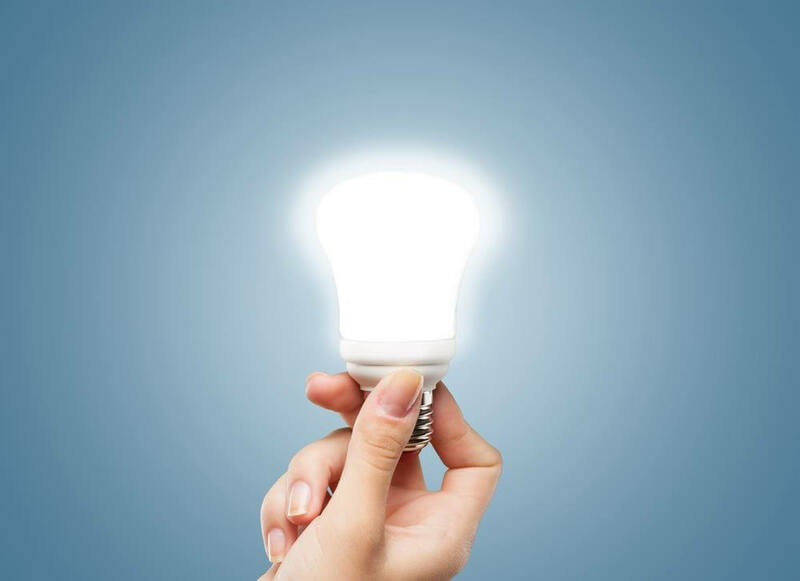 139 customers invested a total of £4.4 million over the scheme limit and the majority of these customers may not recover the full losses arising from their investment. Chase de Vere did not research the Keydata products well enough to understand the risks they posed to customers and did not ensure that its advisers understood those risks. As a result, the advisers did not explain the risks of investing in Keydata products properly to customers, and the firm made this worse by ceasing to provide standardised wording to advisers to help them describe the risks to customers. 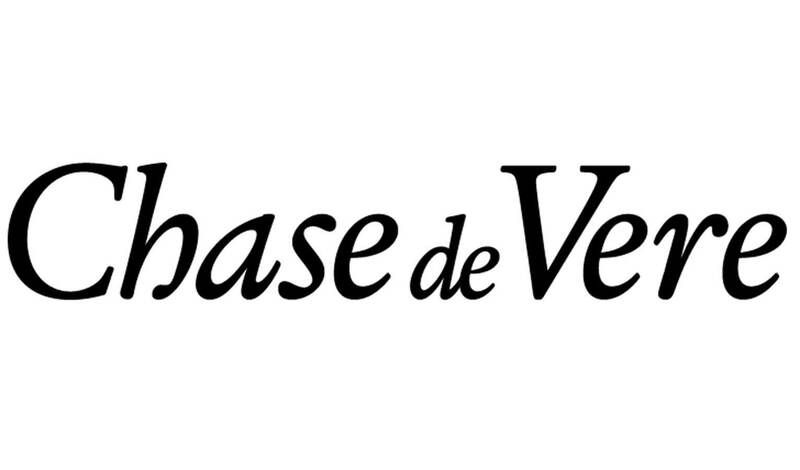 As a consequence of this, Chase de Vere failed to disclose to its customers certain distinctive features and risks of the Keydata products in a way which was clear, fair and not misleading. The FCA considers that had Chase de Vere researched the Keydata products properly from the outset, it would have realised that they had distinctive features and risks requiring additional controls and restrictions on sales, particularly to customers with a cautious attitude to risk. The firm has agreed to review its sales to any customers who have not already made a claim to Chase de Vere or the Financial Services Compensation Scheme about Keydata, and to provide redress where appropriate. Chase de Vere agreed to settle at an early stage of the investigation and therefore qualified for a 30% Stage 1 discount. Without the discount the financial penalty would have been £800,000. Hit by internal squabbles and under performance from its funds in recent months, it is the latest trouble to hit the world’s largest manager of bonds. The firm went on to state that its pricing polices were appropriate and aligned with industry standards. The statement was released by the firm after the Wall Street Journal reported the investigation by the US federal agency. It is understood that investigators from the commission have interviewed a number of executives at Pimco, including its chief executive and founder Bill Gross. It is also understood that the investigation, which Pimco says is a ‘non-public’ affair, has been going on for a number of months. The investigation by the commission is examining whether Pimco gave clients investing in its Total Return ETF an inaccurate picture of the performance of the fund. It is also looking at whether the firm is guilty of buying products at a lower price only to make its profit calculations based on a lower valuation. The action has been taken following a corruption scandal surrounding how licences were handed out. With tens of billions of dollars thought to have been lost as a result of the scandal over the illegal awarding of licences, the court has scrapped 214 of the 218 permits that were issued. The only four licences that have been upheld are those associated with large state-backed projects. Shares in major coal firms such as Hindalco and Jindal Steel have slumped on the court’s announcement. The issue was first brought to attention by federal auditors in India in 2012. 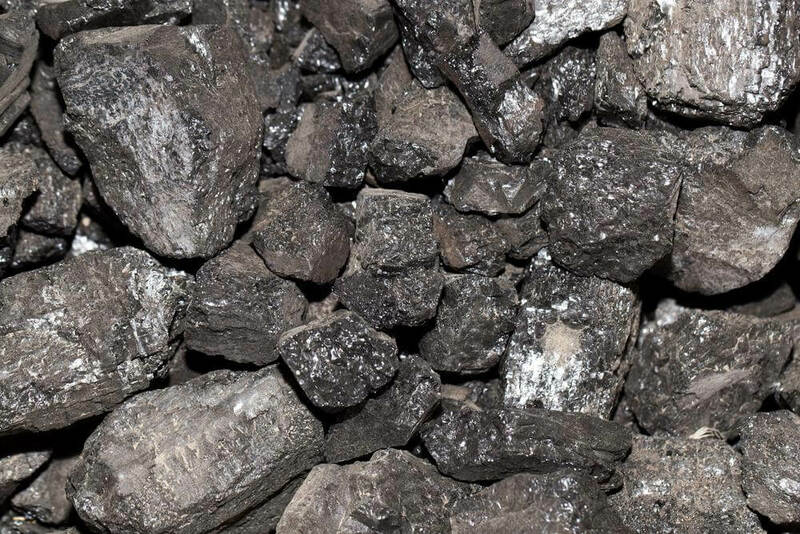 According to the team investigating the matter, India had lost out on around $33bn (£20bn) due to the cheap price the coalfields were sold for. After earlier saying that the transactions had been illegal, the Attorney General of India, Mukul Rohtagi advised reporters of the cancellations. Only forty-six of the fields have seen any work take place however, with these being given six months to wind down all operational activities. The remaining 168 fields have not seen any work take place as yet. These have all been told to shut down immediately. The court said that after a six month abatement from the decision being made a new bidding process can commence for all coalfield permits. One of the biggest drug producers in the world, GSK has come under a lot of scrutiny from the Asian super power. This has culminated in court action with the UK-based pharmaceuticals company hit with the fine after allegations the firm bribed medical staff and institutions to promote its products. 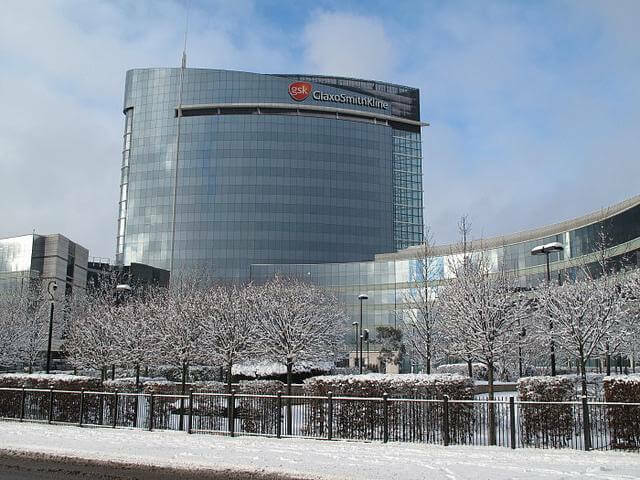 GSK’s firmer head of operations in the country, Mark Reilly, has also been handed a suspended prison-sentence of three-years and will be deported. Further executives at the firm have also received suspended jail terms. Analysts of the Chinese marketplace said that GSK will now be able to draw a line under the episode but should expect a dip in its operations in the country for some time. On a visit to India this week, Shailesh Vara said that he had started the process for talks with his Indian counterpart and other key figures about opening up the country’s legal system. Addressing a press conference in the city, Mr Vara went on to state how easing access for international law firms to operate in India would be of great benefit to the country. One of the prescribed intentions of the Indian Prime Minister Narendra Modi is to attract greater numbers of foreign companies. Mr Vara said that this much sought-after investment from international organisations would likely increase if they could use their existing legal partnerships in the country. Eager to stress that it would not be about taking over from Indian law firms, Mr Vara gave Britain as an example of how an open and freely accessible legal system can strengthen a country. Saying that with a more open system India could become a ‘hub’ of legal talent as Britain has been for many years, Mr Vara said allowing international teams to guide investing firms would help attract the world’s best practicing talent and legal students to the country. Hogan Lovells has recruited real estate finance partners Andrew Flemming and Jo Solomon to join the London finance practice. They join from Berwin Leighton Paisner and bring a wealth of real estate finance experience with them. Flemming ‘s transactional experience includes advising Barclays Capital on a £660m loan-on-loan to Maybourne Finance Limited and advising Lloyds Banking Group on a £266m investment facility to Peel Holdings to refinance a large portfolio of UK regional properties, which involved acting for a club of five lenders. Solomon’s deals include advising on the St. David’s Limited Partnership, a joint venture between Land Securities Group PLC and Capital Shopping Centres PLC, to refinance the cost of acquisition and development of the St David’s and St David’s 2 shopping centres in Cardiff; and advising Blackstone on the development finance provided by Lloyds TSB Bank Plc in relation to the development of building 6 at Chiswick Park. Commenting on their arrival, Sharon Lewis, global head of Hogan Lovells finance practice, said: “First class strength in depth in a wide breadth of different banking specialisations is vital to maintaining our position as a leading adviser to banks and other key financial institutions so continuing to grow our finance practice globally is a key strategic priority for the firm. Andrew and Jo’s expertise is a natural fit with our banking and real estate practices. I am delighted that they will be joining our team”. 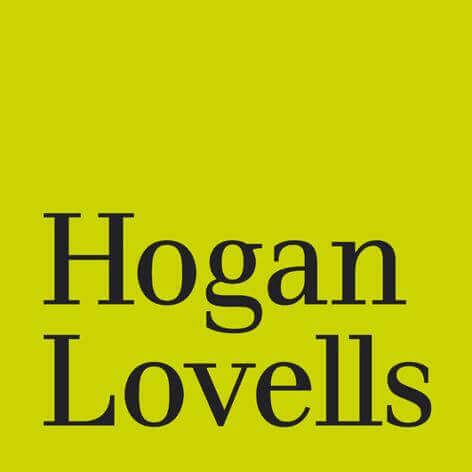 Flemming said: “Hogan Lovells has a thriving global finance practice with numerous high profile clients across a range of sectors and a truly collaborative culture. I am looking forward to working closely with the banking and real estate teams to continue to build the strength and depth of Hogan Lovells’ real estate finance practice”. Fees per fee earner at the top 100 UK law firms have increased by 2.4% this quarter, compared with the same period last year, according to the latest quarterly legal sector survey from Deloitte. This resulted in overall growth of 3.6% in fees per fee earner this financial year. While the underlying rates of growth were relatively modest this quarter, firms ranked between 51-100 boosted fee income by 7.1% in the last 12 months, driven largely by merger activity. The survey also tracked annual fees per fee earner over a six year period and found that the UK’s 10 largest firms generated 18% growth over the last six years. In contrast, firms in the 26-50 category achieved only a 1% increase reflecting a decline in real terms. For firms in the 51-100 category things were even tougher with fees per fee earner still well below the April 2008 figures. A rising level of threats to business, and increasing numbers of regulatory requirements, are combining to ensure in-house general counsel are no longer focused solely on company legal matters. Instead, a new report from KPMG reveals that in-house lawyers’ work is dominated by commercial decision making as boardrooms seek validation of their business and operational plans. The report, which is based on a series of in-depth interviews with general counsel, reveals that senior in-house lawyers have adopted six new core functional responsibilities, in addition to their role as legal advisers. Chief amongst these is a focus on cyber security, as concerns rise about the risk of data breaches brought about by human error and intentional sabotage. 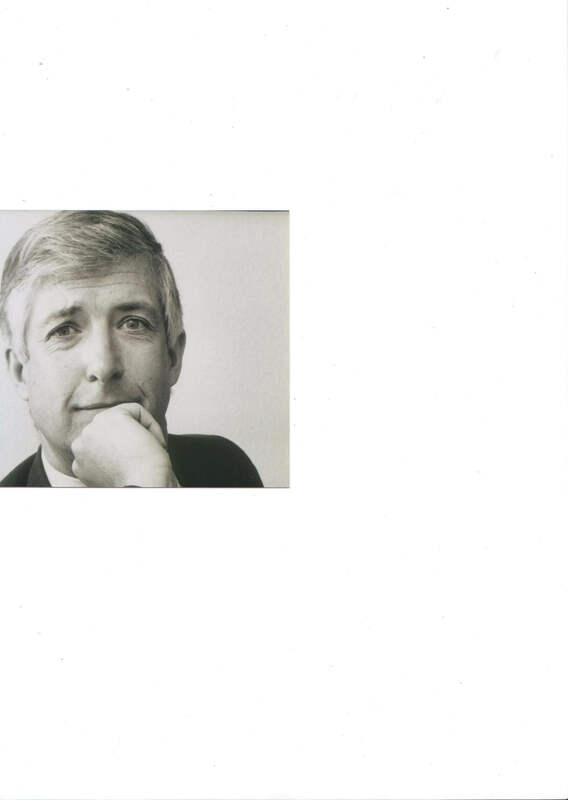 • flexible approaches to dispute resolution, rather than an outright reliance on negotiation. KPMG’s analysis goes on to reveal that there is a growing demand for in-house lawyers to conduct due diligence of suppliers, customers and other business parties, as corruption through the supply chain is tackled through increasingly tough legislative and judicial actions. According to the report, senior executives are also turning to their legal teams in recognition that their professional training ensures general counsel can ‘take on complex issues, distil them and arrive at a sensible conclusion’ with many respondents indicating that their lawyers are more likely to find solutions to common business problems, than colleagues in other business departments. A U.S. Court of Appeal has ruled in favour of scores of Chrysler dealers who were terminated during Chrysler’s 2009 bankruptcy, holding that the U.S. government may have violated the 5th Amendment. In June 2009, Chrysler terminated 789 dealers as part of its bankruptcy reorganization process. The dealers, many of whom had been with the manufacturer for generations, were given just 22 days to cease all business operations, leaving many of them with heavy financial obligations, such as mortgages or leases, that could not be met. The terminations were part of the 2008 Troubled Asset Relief Program (TARP), where the U.S. provided Chrysler with $12.5 billion in financial assistance. The dealers were paid nothing for the loss of their businesses. In three companion lawsuits filed in Washington D.C., nearly 200 terminated dealers are claiming that the U.S. violated the Takings Clause of the 5th Amendment by conditioning the receipt of TARP funds on Chrysler terminating the dealers. The theory was immediately challenged by the U.S., who claimed that it was Chrysler, not the U.S., that terminated the dealers; that the franchises were not “property” that could be taken; and that the U.S. is insulated from liability because the terminations were done by the bankruptcy court. The trial judge rejected these arguments, leading to an appeal before the U.S. Court of Appeal. In a 29-page unanimous opinion, the Court of Appeal on April 7th agreed with the trial judge that these events could give rise to a violation of the 5th Amendment. 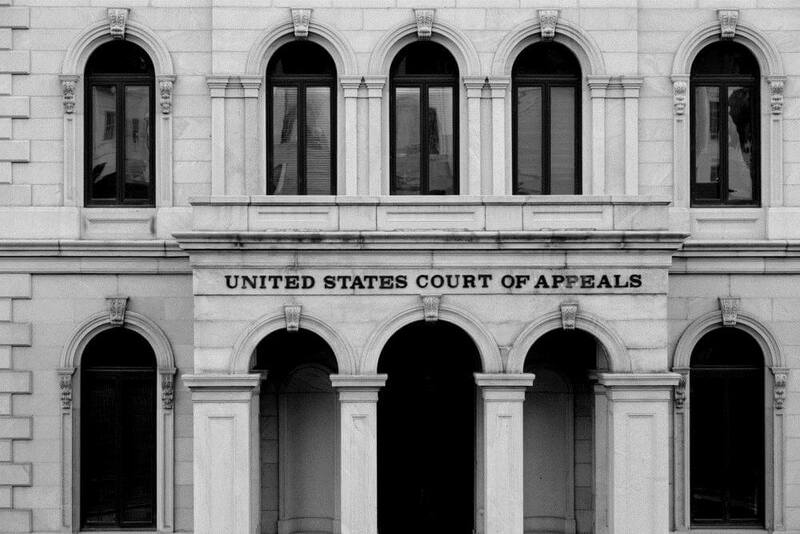 The court indicated that the dealers may be making new law, stating that “the facts of this case are unique and raise issues that have not been decided before.” The court then remanded the case to the trial court to give the dealers an opportunity to plead and prove their allegations that the U.S. coerced Chrysler into terminating the dealers. The U.S. has 90 days from the date of the decision to petition the U.S. Supreme Court for review. Creditors face losing more than £150m per year if the Government follows through with plans to end an exemption for insolvency litigation from the ‘Jackson’ legal aid reforms, warns an independent report commissioned by the insolvency profession. 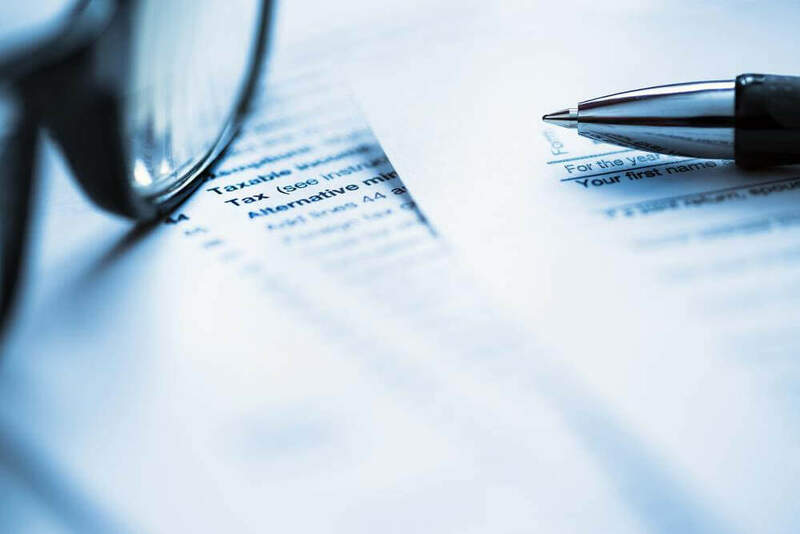 Insolvency practitioners regularly need to take legal action to reclaim money from directors of insolvent businesses, or third parties, that should be re-directed to creditors – including HMRC and SMEs. 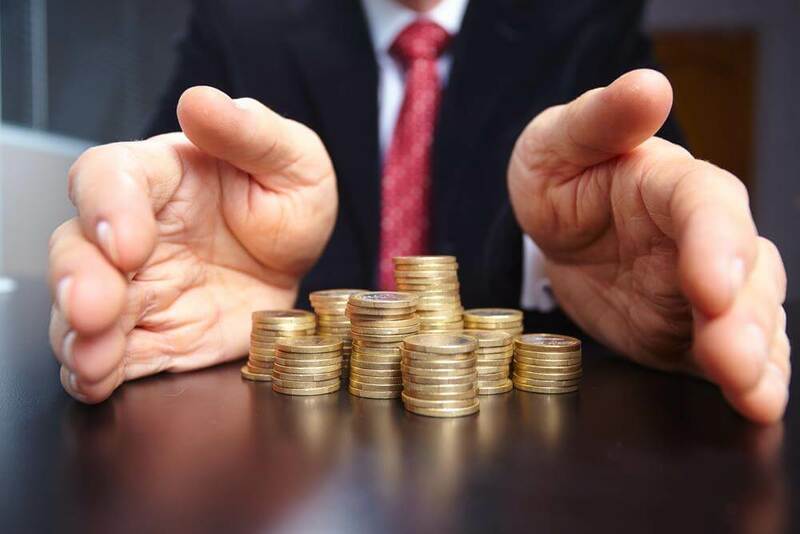 Where there is no money left in an insolvent business to pay for legal fees, often the only way to fund legal action is to recover costs from the director in a successful case. Insolvency litigation currently has an exemption from the Jackson reforms, introduced in 2013. The reforms prevent costs from being fully recovered from defendants. Ministers plan to scrap insolvency litigation’s exemption in April 2015. Without the ability to recover costs fully from a director, insolvency practitioners fear legal action to reclaim debts from directors would be unaffordable in most cases, leaving money in the hands of unscrupulous directors and out of creditors’ reach. The Government’s plans would affect creditors’ claims of up to £300m which are pursued through the courts every year – including the pursuit of up to £70m that belongs to taxpayers and HMRC. Approximately £160m is brought back to creditors every year, an amount that insolvency practitioners say is rising. Phillip Sykes, deputy vice-president of R3, the trade body for insolvency professionals, said: “Insolvency litigation is absolutely in the public interest, and it is absurd that the Government is considering making it all but impossible for such cases to continue. The ‘Jackson’ reforms were supposed to protect exactly this type of case. Sykes added: “Insolvency litigation returns money to creditors, and helps ensure businesses and banks remain confident about lending. It protects taxpayer funds, it stops directors making off with money that isn’t theirs, and it deters directors from even thinking about doing so in the first place. My Learned Friend provides the ability for users to search for basic legal research information on an enquiry specific basis, then rate, comment on and add to the knowledge base for the benefit of the wider legal community. The cloud based platform will also provide the opportunity for sector specific discussion forums and a live email notification service, so users know when an area they are interested in has been updated. Compatible with tablets and smartphones, My Learned Friend is accessible via an easy online sign up process and will attribute credit to contributors via dedicated profiles, allowing them to build their reputation rating and contact list. Content submitted on My Learned Friend will be moderated by users, with useful information being promoted using a ‘Thumbs Up’ rating system, and ‘Useful/Not Useful’ indicators for the use of case law or legislation in relation to specific legal enquiries. The site currently has research categories for 22 legal disciplines and holds case law and legislation for approximately 3000 legal enquiries. MLF hits the market this week with the option for a one-month free trial. Subscription fees will be £9.99 a month for professionals and £5 a month for students, with no contract period. 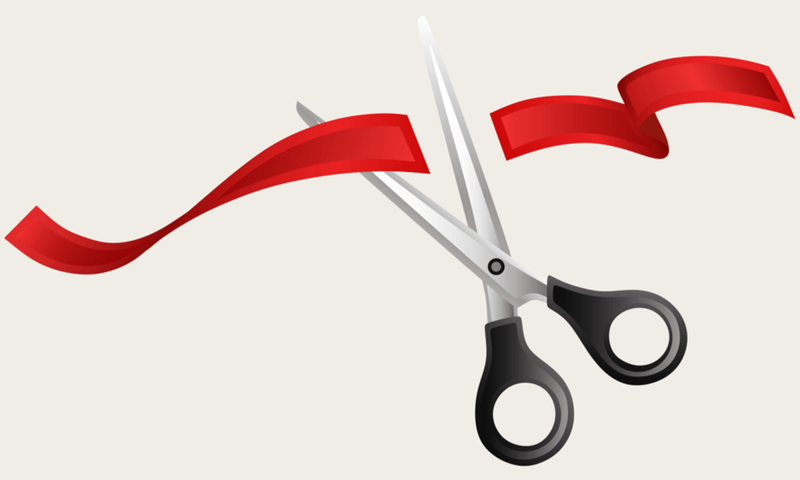 There is also a reduced fee for corporate subscriptions for businesses in need of five or more accounts. To find out more visit www.mylearnedfriend.co.uk.